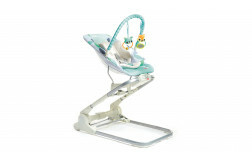 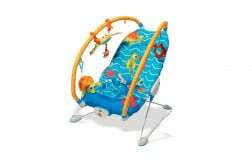 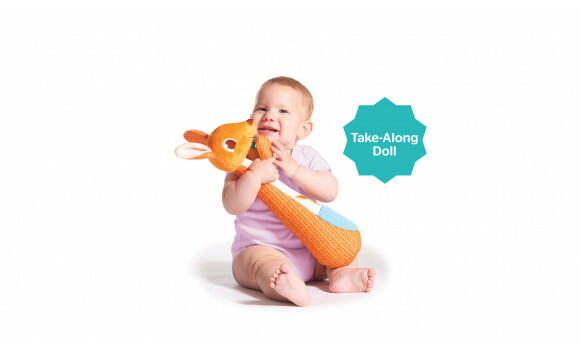 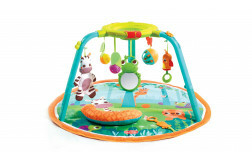 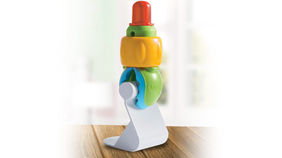 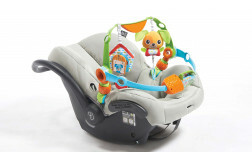 As baby grows, let her enjoy the product attachment free and play with the familiar changing toy while on the go. 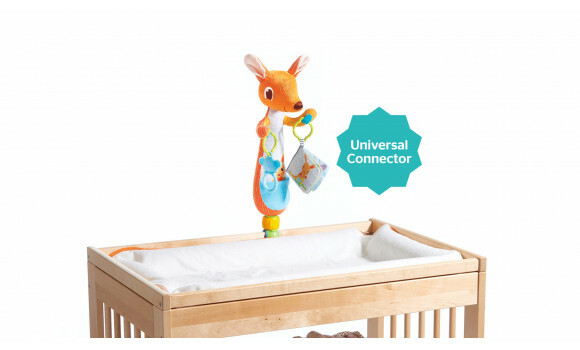 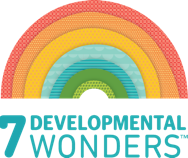 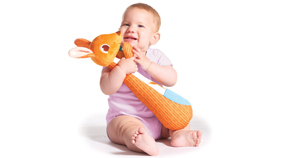 Hide the teether or another toy the little kangaroo pouch to help baby begin to learn about object permanence. 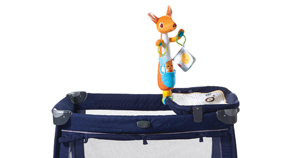 Kangy is fitted with a universal detachable connector that fits most changing tables and playpens. 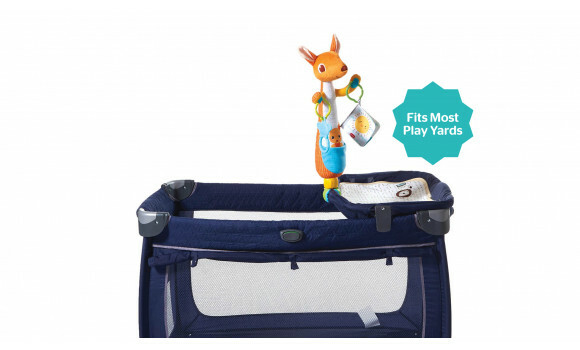 Attach as desired to amuse and engage baby while changing diapers or playing in the playpen. 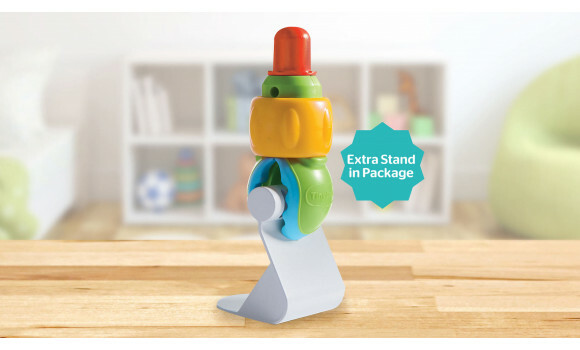 The interchangeable stand lets you place Kangy on any flat surface you like, offering total versatility. 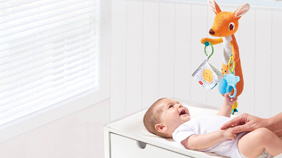 Remove the clip base to turn Kangy into a cuddly toy that is perfect as a take-along and includes features that help encourage your growing baby's cognitive development.